Would love to do this & 3.5 grand over 2 years seems like a very reasonable deal.Sadly beyond me at the moment though.Will be sticking him in my tracker though & hoping to latch on to the dream that way. Thanks Brian – yes, it is extremely reasonable in the context of what we’re doing. But, like you say, still a fair ‘chunk of change’ in absolute terms, even spreading most of it over 24 months. 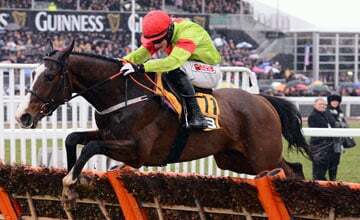 He’ll be trained by Anthony Honeyball at his stables on the Dorset/Somerset border. Is this still available Matt? The e-mail link won’t work for me. We’re into waiting list territory now, Kevin. But last time, not everyone who expressed interest ended up in the syndicate, so do drop me a note if you’d like to be added.